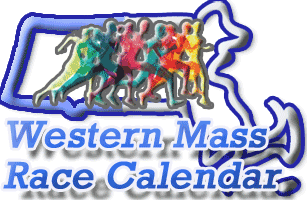 The one place to find ALL road races in Western Mass. Easy. DISCLAIMER: Every effort is made to ensure the information on this page is comprehensive, current and accurate. It is not a launch of a future business venture to either promote or compete against any existing for-profit race service (e.g. registration, timing, marketing, etc.) or to offer advice or assistance to Race Directors other than providing a quick and easy place for runners to find upcoming races in the Western Massachusetts region.